BLEU BELLE VINE - HEY JULES! Bleu Belle Vine is new for 2016. It's perfect for the bride who wants a hair accessory that is organic, feminine, soft and pretty. 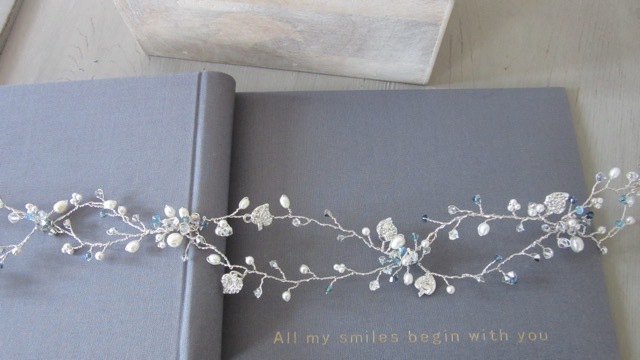 This piece is designed to go all the way around the head as a garland. It can be worn across the forehead or on the head. 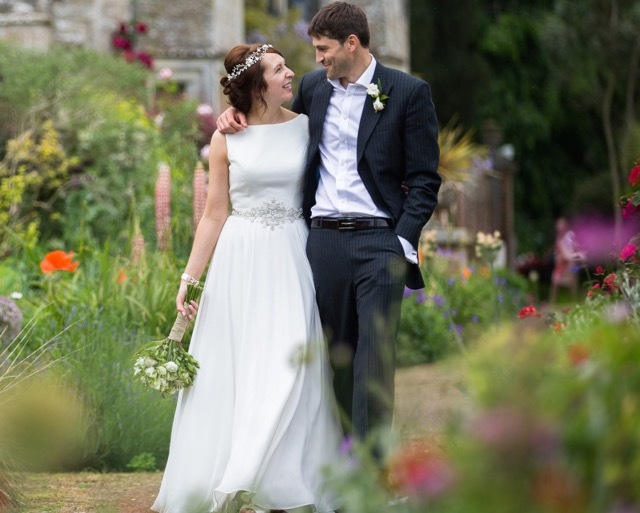 It would complement a 'nature' inspired wedding and also a festive or Winter wedding. This piece is made with leaves which have lots of tine sparkly stones in which really catch the light. 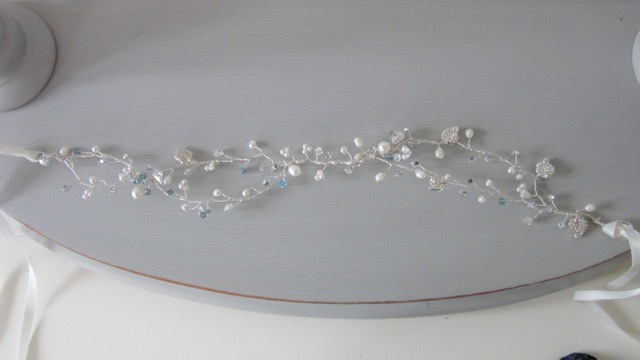 Teamed with freshwater and Swarovski ivory pearls and a selection of subtle blue & grey crystals for a touch of colour. DIMENSIONS – The headpiece 54cm long and designed to go all the way around the head. A smaller version is available too. It can be tied with ribbon or pinned into place. MADE TO ORDER – The vine is custom made to order. Bleu Belle Demi Vine is identical to the Full vine yet half the length. 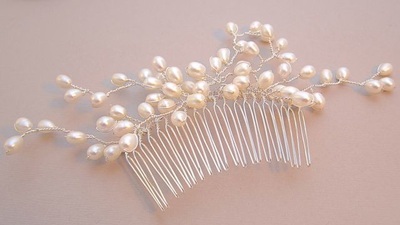 It can be worn across the forehead or on the head, or also at the back or side of the head by pinning into place. 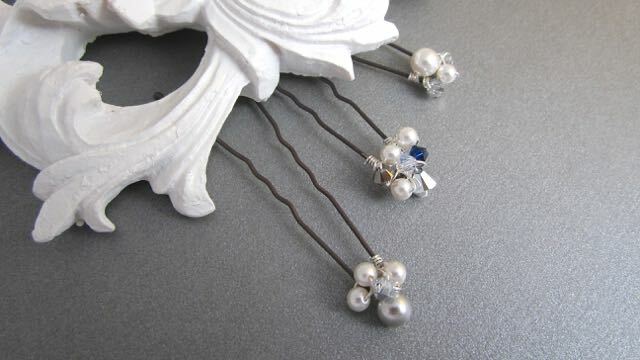 This is lovely for a detailed hair do where you want the detail at the back. 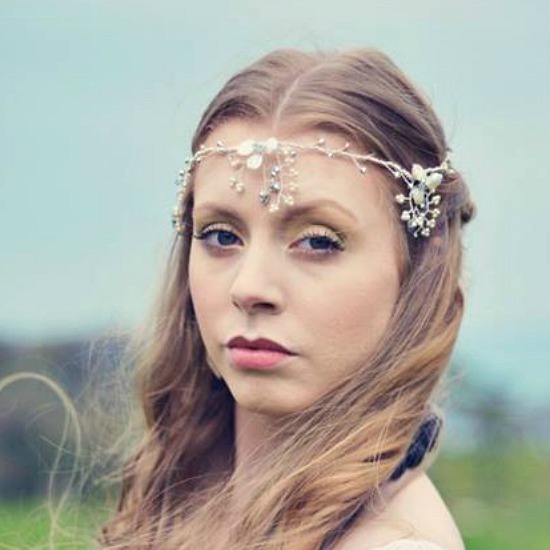 DIMENSIONS – The headpiece 33cm long. It can be tied with ribbon or pinned into place. I would suggest that if you wanted to place it at the back of the head that a slightly shorter length of 25cm be requested.